The commitment, by the Brides-Les-Bains Tourist Office, to a quality based approach aiming to improve its professionalism , the quality of its services as well as its internal operations; is already proven, since it was the first Tourist Office certified “Quality Tourism” in Savoie in 2008, and then renewed ever since. 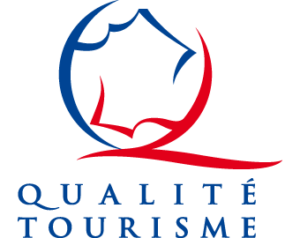 This recognized national brand is a guarantee of the quality of services offered to visitors and professionals of the territory. Renewed every 5 years, it guarantees the commitment of the Tourist Office in internal development (training, sustainable development …), promotion, communication and marketing, as well as assuring the visitors, the community, the socio-professionals and partners, and the institutional networks of tourism of this promise. All of the staff of the Tourist Office have read and apply the procedures put in place to ensure availability, friendliness and attentive service. Whether by mail, fax, email, telephone or face to face, the customer’s request is processed as soon as possible. This is the same for the answers to any complaints. All means are implemented to provide the customer with complete, reliable and up-to-date information that accurately meets his/her request. We are concerned about the satisfaction of the visitors and the quality of the service rendered. This last point is the subject of constant questioning and reflection on the part of the front desk staff, in order to adhere as closely as possible to the needs and expectations of our guests. Various measurement tools have been put in place for this purpose: satisfaction questionnaires, suggestion forms, complaint forms, and internal meetings. The management has a strong will to strengthen the links with the socio-professionals of the resort and the territory. Considering that the role of a director is to be a federator of the actors of his/her resort and that he/she must be in constant contact with the socio-professionals and elected officials. The goal of the destination is to work hand in hand with tourism stakeholders to take part in collective thought about the territory. It is therefore important that each actor knows the destination well and becomes a true ambassador. Renewed every 5 years, this certification attests a range of services provided by the Tourist Office, the understanding of our customer’s needs and improving the overall quality of the services, the presence of a strong and professional team, and a national and international promotion plan.